Federal Agents have exposure to civil lawsuits, criminal investigations & administrative & disciplinary matters. FEDS Professional Liability Insurance is imperative to the protection of your performance record, your savings, and your career. If you don’t know what your exposures are – find out! If you have put off getting coverage because you just haven’t had the time – make time! As a federal agent, you are eligible for reimbursement by the agency so your costs could be as low as $130 per year with the NABNA Member Discount. After signing up with FEDS, you will receive your coverage certificate and receipt via email. Then, complete and submit your reimbursement form. For the exposure areas of federal agents, read Overview. For a list of the most common allegations made against federal agents, read Administrative Exposures. For explanations as to why DOJ represents federal agents in some civil lawsuits, but not others, this is your answer. For an example of a federal agent under criminal investigation, click here. 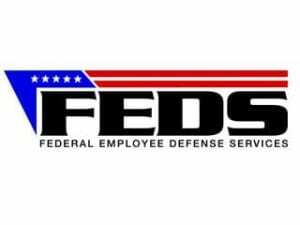 To compare FEDS to other providers of federal employee professional liability, click here. Payroll deduction is also available through FEDS. For articles about PLI pertaining to federal agents, read these. To order FEDS brochures, just contact FEDS with the number needed!